Variety and value for all your teaching needs! Packs feature an array of popular decorative themes for learning activities, displays, and crafts. Designs complement TREND bulletin board sets and coordinated dÉcor. 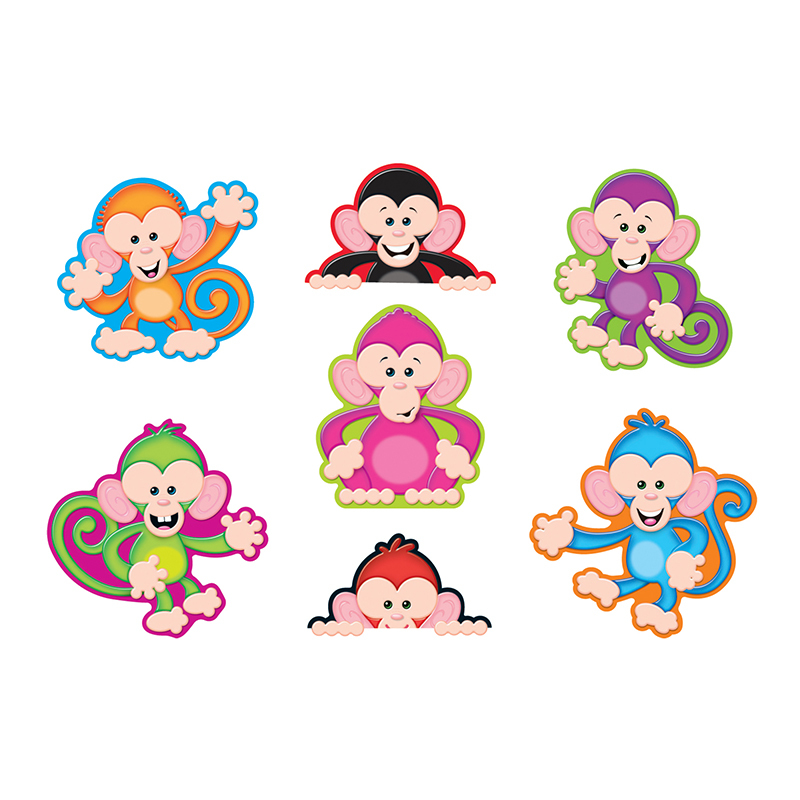 7 monkeys, 42 pieces total. About 5 1/2" tall.